We can help you out with any event – big or small. Our experience varies from Christmas Parades, to sporting events, childrens events through to events such as the “it” Bay of Islands Food and Wine Festival and the Russell Birdman Festival. We can either come up with the concept and handle every small detail involved or purely promote your event or if you want to allocate certain jobs that you don’t want to handle we can do them for you. Either for fundraising or private enterprise. 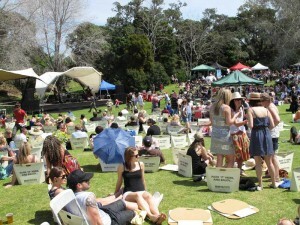 Some of the events we have been involved with are comedy nights, Fundraisers such as St.John, Vintage Railway, Waitangi Golf Club Pro Am, Bathtub racing, Tall ships, Waipoua Forest Fun Run, Paihia Matariki Art Exhibition & Festival, Paihia Summer Festival, Kerikeri Street Party, “it” Bay of Islands Food and Wine Festival, Russell Birdman Festival and the Bay of Islands Walking Weekend. We have created a successful formula that we can tailor to most events – saving you time and money and ensuring you have the best event possible, all within your budget!